An ISO file, aka an ISO image, is a single file that’s a perfect representation of an entire CD, DVD, or BD. The entire contents of a disc can be precisely duplicated in a single ISO file. An ISO file is like a box contained a toy which you might buy that requires assembly. The box that the toy pieces come in does you no good as an actual toy but the contents inside of it, once taken out and put together, become what you’re actually wanting to use. An ISO file works in much the same way. The file itself is no good unless it can be opened, assembled and used. Usually, ISO files contain the binary image of the optical media file system and are large in size. Here we’re going to discuss why convert ISO to MP4 and how to convert ISO to MP4 for playback on any portable device in the following passage. ISO image files are created by people to have a digital backup of the DVD content on external disk, hard drive or other online storage options, which are basically the archive files and not a video itself. Thus they cannot be played directly. The size of the ISO image file of a 90-minute video is generally around 5GB to 8G which is definitely a lot of burden on your storage considering the huge amount of important data that you need to store. While converting ISO to MP4 reduces the file size to almost 5 times in MP4 format as compared to ISO file format, an excellent and surefire way to save storage space on your hard drive or external disk. 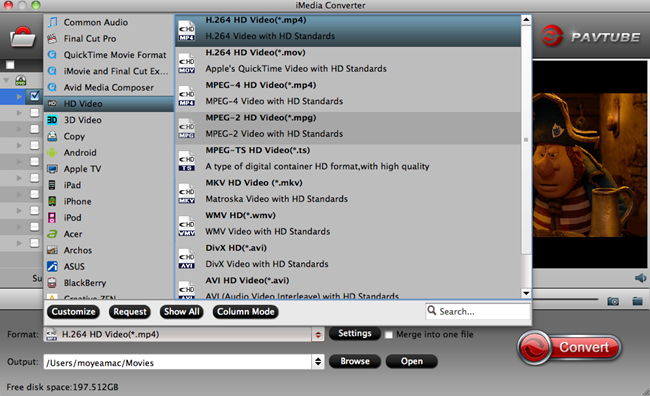 Another common reason for converting ISO to MP4 is compatibility. Since ISO image files are large in size, they cannot be directly played on various mobile and other devices. MP4 is one of the most popular and widely used formats that are compatible working with the majority of the TVs, mobile phones, tablets, gaming consoles, and other devices. 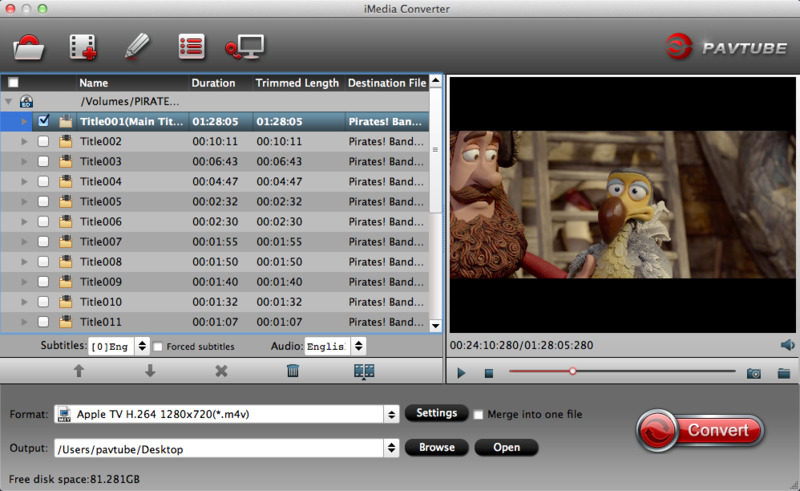 Pavtube iMedia Converter for Mac is the best software if you are looking for options on how to convert ISO to MP4 with keeping best video quality. This software allows converting files(ISO/IFO file, 3D/2D Blu-ray, BD folder, DVD, common video in any video format, like MP4, MOV, M4V, FLV, MKV, etc) to 200+ video formats. Furthermore, apart from working as a ISO to MP4 converter, it enables you to customise video parameters including video and audio bitrate, frame rate, resolution, channel and more parameters to make the outputed video more fit in your video player and multimedia devices. With this feature, you even can downscale the ISO file size by lowering the bit rate. Run ISO Image to MP4 converter on Mac. Click "File" on upper-left corner to follow "Load from IFO/ISO." It is unnecessary for you to run a virtual drive to mount ISO Image for this Blu-ray ISO converter will help you analyze ISO Image automatically. After the ISO image loading is finished, click "Formats" to open the output video formats, there are 200+ video formats are ready for you, you can choose any one you lke. 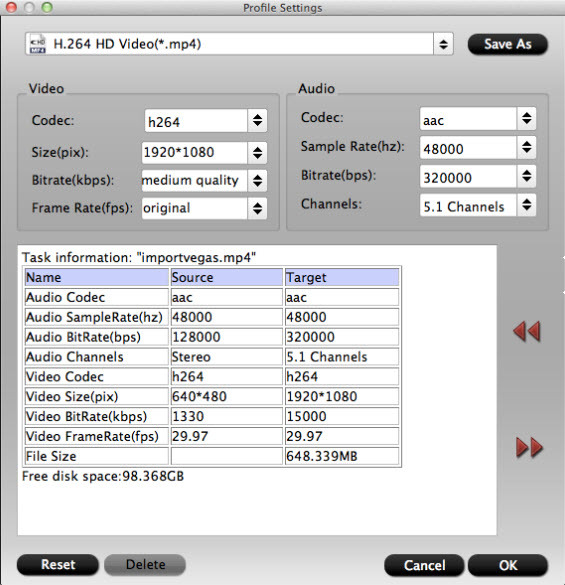 For example: Click "HD Video" ＞ "H.264 HD Video (*.mp4)" or "MPEG-2 HD Video (*.mpg)", or "MKV HD Video (*.mkv)", or "WMV HD (*.wmv)" etc. What’s more, if you want to play Blu-ray ISO on other devices, you can choose "iPad", "iPhone", "TVS" and so on. This software have preinstalled all the video settings for you. Click "Settings" near the format bar to go to "Profile Settings" interface where you’re allowed to change parameters like bitrate, frame rate, sample rate, and audio channels according to your requirements. To sucessfully compress ISO file size, lowering the video bit rate can help you achieve this goal. After you have finished all settings, press Convert on the UI and start the ISO to MP4 conversion. When the process stops, click "Open the output folder" to get the generated files. Now you can transfer the MP4 to your iPhone X/8/8p/7/7p, iPad, or other portable devices for enjoyment anywhere anytime.